Founded in 1685, Groot Constantia is South Africa’s oldest wine estate. Like the majority of wine estates of a similar vintage in the Cape Town area, its labour force prior to emancipation in 1834 rested on enslavement. Following a vine disease outbreak in the late nineteenth century, the estate passed into government ownership. It is currently operated by the arms-length Groot Constantia Trust. The manor house was rebuilt in Cape Dutch style following a fire in 1925, and has operated as a preserved site since that time. The manor house passed into the control of the South African Cultural History Museum in 1969 and, as with other sites managed by the same entity, became part of southern state-funded umbrella Iziko Museums in 1998. Iziko’s inauguration signalled a shift towards previously marginalised histories at all its sites, with Groot Constantia no different. A revised history of Groot Constantia paying greater attention to enslaved people was written by curator Thijs van der Merwe and published in 1997. Buildings which had potentially served either as stables and/or as slave quarters were repurposed as an Orientation Centre in October 2004. 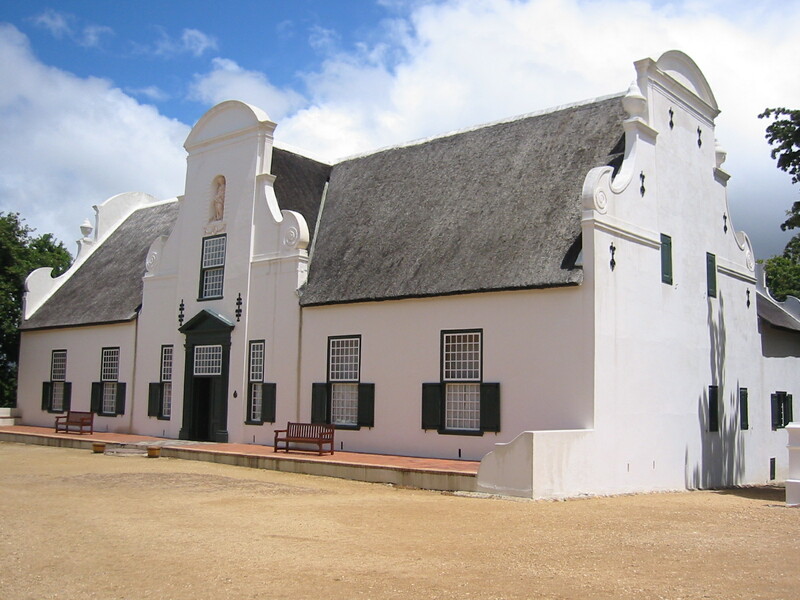 As the first heritage space which the visitor reaches upon arrival, displays in this building foreground the Cloete family – owners from 1779 to 1885 – as ‘farm owners and slave owners’. Drawn from archival research, their human transactions are listed, whilst the origins, names, and worked carried out by people enslaved at Groot Constantia are also listed. A panel is devoted to the ‘young servant boy’ Friday, whose ancestral origins are linked to the suppression of the slave trade by the British Royal Navy. The selection of this story can partially be attributed to the availability of suitable museological material, given that a photograph of Friday carrying Bonnie Cloete’s archery set is included.